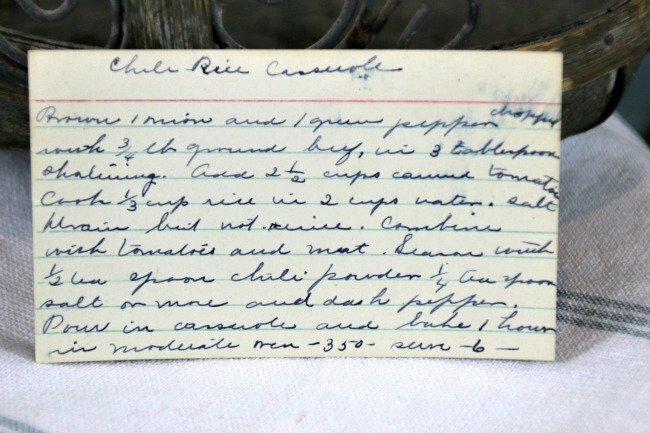 There is only one side to this Chili Rice Casserole recipe card. There are a few words that I cannot make out so if you can read them, please comment below so I can update for others. We have lots of recipes on the site that may be of interest to you. Use the links below to view other recipes similar to this Chili Rice Casserole recipe. Click here to read the history of VRP012 – Wood Recipe Box. 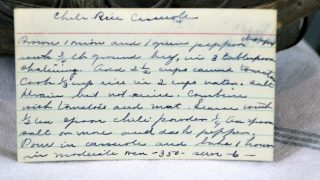 If you are a casserole fan then check out these link I have created for you as a reference to find cookbooks and dishes.